Broadway’s highest selling magic show of all time, returns to UAE with a brand-new show. The mind-blowing spectacular showcases the jaw dropping talents of seven of the incredible illusionists on earth. 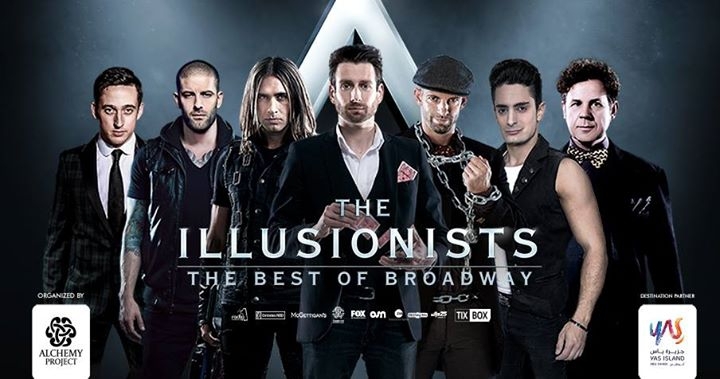 The Illusionists has shattered box office records across the globe and dazzles audiences of all ages with a powerful mix of the most outrageous and astonishing acts ever to be seen on stage. The non-stop show is packed with thrilling and sophisticated magic of unprecedented proportions. Performing in Dubai & Abu Dhabi this April & May.